A-M B-Well™ Omega-3 Pharmaceutical Grade Fish Oil (PGFO) is a highly concentrated triglyceride base fish oil that uses only the finest quality raw materials of cold water fish oils caught off the coast of Peru. The base oil is 95% anchovy, 2.5% sardine and 2.5% mackerel. 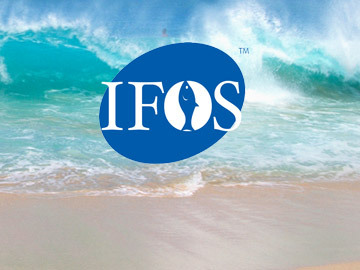 The fish oil concentrate has been verified by the United States Pharmacopoeia ("USP"), the world's most highly recognized and technologically advanced pharmacopoeia. 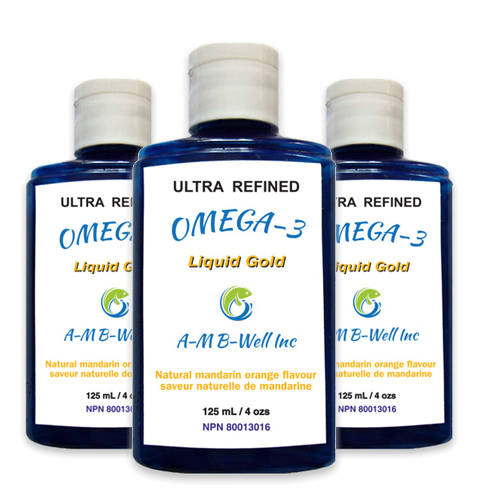 A-M B-Well™ Omega-3 Liquid Gold uses the same fine quality raw materials of cold water fish oils as A-M B-Well Omega-3 PGFO capsules, except it is in liquid form with a natural mandarin flavouring. 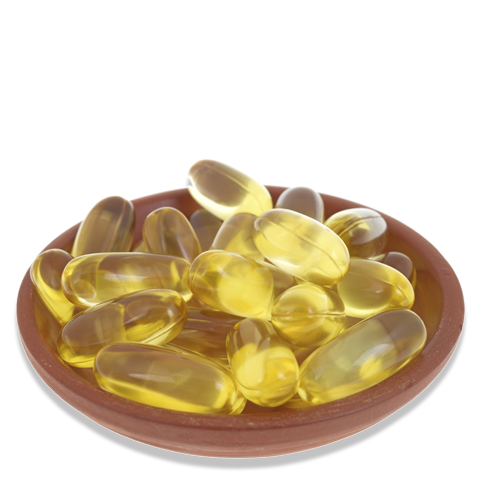 1 teaspoon of Omega-3 Liquid Gold is equivalent to 5 capsules of Omega-3 PGFO. Try our ultra refined PGFO Today! The oil is then put through an exclusive 6-step manufacturing process for extracting the Omega-3s from the fish oil and refining them. 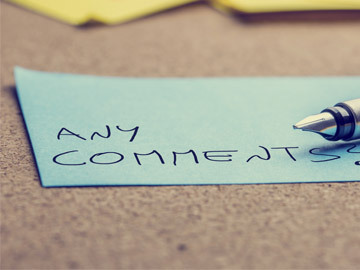 In numerous studies, the absorption of Omega-3 fatty acids in their natural triglyceride form are superior to the synthetic ethyl ester form that is common in other concentrated Omega-3 products. 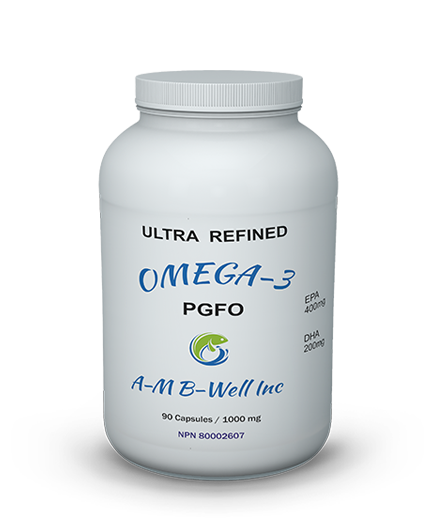 A-M B-Well™ Omega-3 PGFO fish oil is a highly concentrated fish oil derived from ultra-refined, molecularly distilled fish oil. 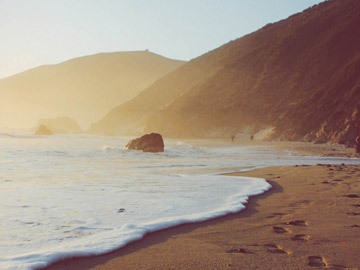 A-M B-Well's pharmaceutical grade fish oil has been purified using advanced molecular distillation to make it virtually contamination-free of PCB's, mercury, dioxins, and furans, often present in related products containing Omega-3 fatty acids. A-M B-Well™ Omega-3 PGFO is an excellent source of the Omega-3 fatty acids EPA (Eicosapentaenoic Acid) and DHA (Docosahexaenoic Acid). 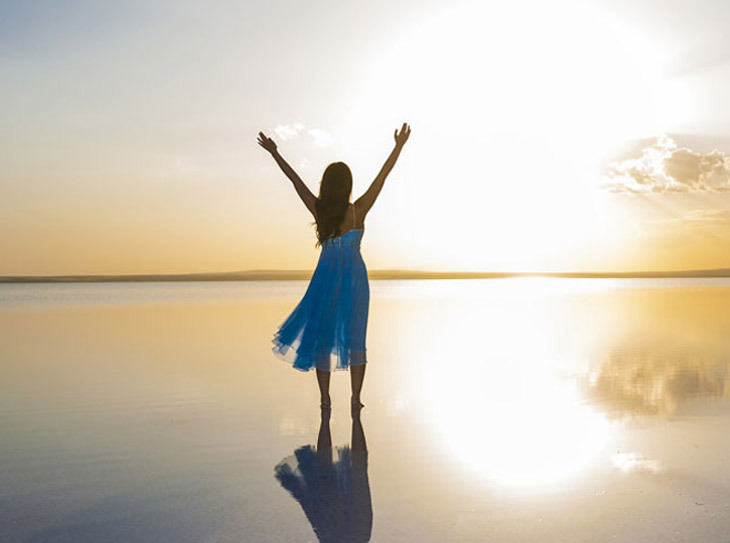 EPA and DHA can help to support and maintain cardiovascular health and help to reduce serum triglyceride levels. Order Today!